Macbeth’s Disciple film, character analysis and new teaching plan make this an exceptional education package. 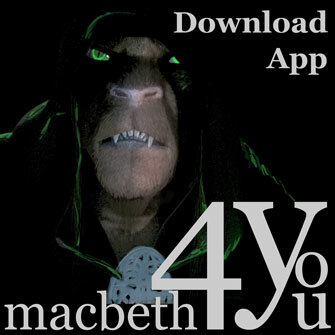 View the character of Macbeth through the eyes of his most loyal warrior, Cormac. Invented by Lloyd Trott for teaching text analysis to Acting students at the Royal Academy of Dramatic Art (RADA), Exploring character, can be used in schools. In our step by step guide, we explain how to use this creative approach, adapted for schools, to explore the world and characters of Shakespeare’s Macbeth. It offers a unique way of approaching controlled assessment tasks, essay assignments & exams. Working with Exploring Character was found to raise concentration and imagination in equal amounts in young people at RADA. More info? - Click here. Our notes introduce creative discussion and writing, extending the world of Macbeth to engage your students’ imaginations and enliven their sense of studying Shakespeare. The notes are best used in group situations but can also be used by an individual student working on Shakespeare’s play Macbeth. If you have been asked to write an assignment or GCSE essay on Macbeth, you will find a lot of information here. When you watch the film, you will see how we used Shakespeare’s description of the three witches (the three weird sisters, Wyrd sisters) to create our CGI witch characters. See what it was like to live and work for Macbeth in eleventh century Scotland. In our notes you will find a detailed character analysis on Macbeth. If you need to delve deep into the character and actions of Shakespeare’s Macbeth you can access our expertise and develop your creative writing and imagination by following the teaching plan and by reading our extensive character notes on Macbeth. 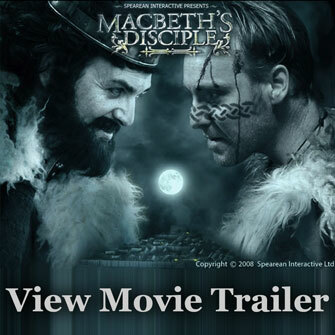 Watch our film, Macbeth’s Disciple and you will see how we used our vast knowledge to delve behind the text. Let us know what you are looking for and we will try to help.